Khuzestan Science and Research Branch Islamic Azad University, Ahwaz, Iran. Citation: Behrouz BR (2018) Difference and similarity in the structure of the population of waterbirds between natural Bazangan Lake and Shahid Yaghoubi Dam Reservoir. J Aquat Res Mar Sci 2018: 76-83. Identification and counting of waterbirds carried out in Bazangan natural lake (BNL) and Shahid Yagoubi dam reservoir (SYDR) in February 2015 by using total count method by 40 × 10 Zaies binocular and 60 × 15 telescope. The aim of this study was to determine the difference between the coefficient of similarity and the Euclidean distance coefficient between the structures and species diversity of the waterbirds of the BNL and the (SYDR) in February 2015. The number of waterbirds reported in BNL and SYDR were 3321 and 584, respectively. The waterbird density in BNL was 41.5 and it was 8.74 birds per hectare in SYDR. The Shannon-Wennier, Simpson, Margalef, Manhinick and Brillouin indexes in BNL were 1.764, 0.624, 1.788, 0.7141, and 4.44 and in SYDR they were 1.291, 0.5096, 2.298, 0.6117 and 1.16 respectively. The highest rate of similarity between waterbirds species of the BNL and SYDR was reported by the Morisita as 0.61 and the percentage index was 48.67%. The difference in diversity and the similarity coefficient of waterbirds in two lakes indicate that artificial lakes can serve as natural lakes for providing habitats for waterbirds but cannot replace them. Water birds; Bazangan Natural Lake; Shahid Yaghobi Dam Reservoir; Species Diversity; Similarity indexes; Euclidean distance. The life of humans on earth depends on the existence of lakes, wetlands and freshwater rivers [1-5], because rivers, lakes and wetlands provide valuable services . They help the survival of humans . These include controlling destructive floods, reducing the flow of upstream to the downstream of rivers by delaying the flow of water, adjusting the local climate and air subtilize, feeding groundwater, maintaining and suspending particulate matter, supplying the need for water and human nutrition, wildlife habitats, especially for waterbirds, protect many vulnerable and endangered aquatic species, a place for scientific and educational research, as a place of decomposition and corruption of materials, also are important resources to the social, economic and ecological, or as a place transforming organic and inorganic materials, pollutants purification, regulating the hydrology of the region and creating favorable microorganisms for organisms, preserving biodiversity and genetic databases, attracting nature tourism, aesthetic values, accumulation and storage of organic materials, treatment and purification of pollutant waters, creation of suitable routes for transportation are also wetlands and lakes values [8,9,10]. In contrary, the belief that all people in the world are working on the construction of dams is that dams have negative environmental impacts , but with management, these negative effects can be reduced, and the benefits of dams are used. Dams provide human needs [12,13,14], such as water supply for agriculture, drinking water, places for recreation, employment generation, fish production, energy resources, water supply are among the important economic benefits of lakes of behind dams that humans need in any circumstances [14,15]. Over 45,000 dams have been built in the world, with 45,000 large and small lakes . In Iran there are more than 750 small and large lakes behind the dams being exploited . The lakes behind the dams are designed for multipurpose use, in particular, to meet the ecological needs of the country and water dependent creatures, including 80 million Iranians [12,14]. The waters of the lakes behind the dams will become more valuable when they help to protect the natural environment of Iran. This is quite practical with the interaction between managers and environmentalists, hydrologists, ecologists and water resource managers. In the current situation, unilateral use of water from lakes and rivers without any environmental considerations is not accepted in any of the countries of the world [12,17]. At present, the world is moving toward multilateral use with an emphasis on the priority of environmental protection. Given the above, the key question is whether, from the perspective of the environment, lakes behind the dams can replace natural wetlands? To answer this question, the biodiversity indicators of the two lakes (artificial and natural lakes) should be compared. One of the indicators is measuring the similarity and difference of diversity and composition of the population of waterbirds between two ecosystems, since their survival is closely related to the aquatic environment . The aim of this study was to compare the waterbirds of Lake BNL (natural) and SYDR (artificial) in order to determine the density, similarity coefficient, species diversity and structure of their population composition, and finally compare waterbirds of two lakes to determine the importance of SYDR as a Man-made lakes and habitats were suitable for waterbirds; also, the answer to the question of whether lakes behind dams can replace natural lakes as habitats for waterbirds? BNL (the whole of the Gol Bibi lake) is the largest natural lake in northeastern of Iran, located in the south of the mountain of Hezarmasged at (36º 17' N, 60º 29' E) 9 kilometers far from Sarakhs city (Figure1). The lake is 850 m above sea level, with a maximum of 12 meters (average 8 meters) depth and an area of 80 hectares . In a temperate zone with a low rainfall (about 200-300 mm / year), as a result, it is dry and hot in the region from early June to September and cold in winter [19,20,21]. During the year, BNL is a very suitable habitat for waterbirds and rainbow trout farmer [2,12]. Due to its specific characteristics, it has a high scientific and research significance. The lake is known as the only National Natural Monument and largest natural lake in Khorasan Razavi province. Main plants at shallow parts of BNL are Phragmites australis, Typha sp, Juncus sp, and at around of the lake, main plants are Compositae, Gramineae, Cruciferae, and Umbelliferae . The lake was registered as a national natural monument on April 19, 2006, according to the decision No. 275 of the Department of Environment of Iran (2004) [23,24]. SYDR is located (35º 9' N 59º53' E) in Khorasan Razavi Province, 27 km southeast of Torbat-e-Heidariyeh, (Fig. 1). In 1997, SYDR were established on the Kal-Salar River, for flood control, storage annual adjustment and agricultural water regulation. SYDR has an average depth of 15 meters and is Oligotrophic [20,21,25]. The shores of the lake are without vegetation (Figure1). The area of the lake is 115 Hectare. It is dry and hot in the region from early June to September and cold in winter . The distance of two lakes from each other is 155 km. The counting of birds carried out on February 15th at BNL and on 16 February at SYDR, in 2015, by total counts method. An instrument for identifying and counting the birds was 40x10 binocular, telescope 15×60 and A field Guide to the waterbirds of Asia . Ecological methodology  has been used to determine biodiversity indexes such as similarities and differences in waterbirds to determine the status of endangered species and protected species  and the Laws office of Department of the Environment of Iran (2004)  used to determine the protected species. The following equation was used to determine the density of waterbirds. . To calculate the biodiversity indexes of waterbirds of two lakes, from the Shannon-Weiner, ,Simpson, ,Margalof, , Menhinink Dmn= , Berger-Parkerd dominance= , Berelion, Hg= , Simpson dominance, Simpson evenness, as well as variation, alpha, beta and gamma indexes used. To determine the coefficient of similarity and the coefficient of diffusion of waterbirds, Jaccard, Ss= Sorenson Ss= , Morrista, cd= , Baroni-Obaroni Ss= , similarity percentages P=∑minimum (P1j, P2j) and Euclidean distance Have been used . Whittaker (1972) used three terms for measuring biodiversity on a spatial scale . 3-Gamma diversity: Gamma Diversity is a variation of a large unit or a land or landscape. It is divided into two components of alpha and beta. In a general definition, gamma diversity is the total variation of a group of regions, or the diversity of the various canvasses in different regions. Diving waterbirds are observed in relatively deep water [3,12, and 30]. This group dives into the water for feeding. Fulica atra was the most frequent species in BNL, but the most frequent species of Phalacrocorax carbo were in the SYDR (Table 1). A group of waterbirds are counted in shallow parts of two lakes. This group feeds from the surface of the water or dipped into the shallow water bed, they never dive into the water [3,31]. The index of this group was Mallard Anas platyrhynchos and Common Teal Anas crecea in both lakes (Table 2). The birds walked along the shores of both lakes. This group feed on amphibians, fish larva, and also feed on the bottom of the beach [3,26, and 31]. The indexes of these birds in the lakes were Grey Heron Ardea cinerea and Little Egret Egreta garzetta (Table 3). Thirty-eight species of waterbirds were counted in two lakes. In BNL, there were nine species of diving birds, twelve species of surface feeding birds, and 16 species of waders and wading birds. In SYDR, there were 5, 6, and 5 species of diving birds, wading and waders and surface feeding birds, respectively (Tables 1, 2 and 3). In two lakes, total of 4005 individuals (BNL 3321 with 37 species) and SYDR (684 individuals with 16 species) were counted (Tables 1, 2 and 3). In both lakes, three groups of diving birds, the number of species and individuals counted. (Table 2, 3 and 4). Number of species and birds was different in two lakes: diving birds (29%) (5 species, 136 individuals), surface feeding birds 79% (6 species with 538 individuals), wading and waders 1% (5 species, 10 individuals) comprised the composition of the population of the birds of the SYDR. In BNL, the population of diving waterbirds were 51% (9 species, 1696 individuals), surface feeding waterbirds were 46% (15 species, 1523 individuals), waders and wading birds were 3% (16 species, 102 individuals). In terms of species abundance, the two lakes also differed. In BNL, the percentage of abundance of diving species was 51%, the percentage of species of surface feeding birds was 45%, and the waders and wading birds was 4%. However, in the lake of SYDR, the percentage of diving waterbirds abundance was 20%, the percentage of abundance of waders and wading species was 2% and the percentage of abundance of surface feeding waterbirds’ species was 78%. Figure 2 shows the population of birds counted in the two lakes. The average density of waterbirds (all three groups) in BNL was 41.5 birds per hectare while it was 8.74 birds per hectare in the lake SYDR. The density of the various groups of birds in the two lakes is shown in Table 4. Table 5 shows the biological indices of waterbirds in the two lakes. Species diversity and richness of BNL were more than SYDR, but the dominance and evenness of the waterbirds of the SYDR was greater than BNL. This is due to number of Anas platyrhynchos, which make up more than 72% of the waterbirds of the Shaid Yaqubbi Dam reservoir, and the number of other species was small. These results showed that the species diversity of waterbirds in the BNL was higher than the SYDR, but there was a higher evenness in the SYDR. Gamma and Alpha diversity in the BNL was higher than SYDR, and the Beta variation among the two lakes was 23. The variation of alpha, beta, and gamma among different groups of birds is shown in Table 6. The average Morrista, Jaccard, Baroni, Sorenson and Horn similarity and Euclidean distance between the two lakes are illustrated in Table 7. Coefficient of similarity of waterbirds between the two lakes was 48.67% and Euclidean difference was 246.719. According to the tables (2, 3, and 4), the density and diversity of waterbirds in BNL was larger than the SYDR. The total number of the waterbirds of BNL was 4.54 times the number of the waterbirds of the SYDR (3321 bird against 584 birds). The number of diving waterbirds in the BNL was 12.5 times the number of the diving waterbirds of the lake of SYDR (1696 bird vs. 136 Bird), the number of surface feeding waterbirds was 2.8 times the number of surface feeding birds of SYDR (1523 birds versus 538 birds), the number of waders and wading birds of BNL was 10.2 times of the waders and wading birds of SYDR (102 vs. 10 individuals). The number of species of diving birds of the BNL was 1.8-fold (9 species against 5 species), the number of species of surface feeding bird was 2-fold (12 species against 6 species) and the number of species of waders and wading birds were 3.2 times (16 species against 5 species) of the birds of SYDR reservoir. The average similarity of the three groups of waterbirds in two lakes was 48.67. The highest percentage of similarity between the waterbirds belonged to surface feeding birds that was 72.75%. The lowest percentage of similarity among waterbirds was found to be 30.39% in the waders and wading birds. The average Euclidean distance of waterbirds of the two lakes was 2446.719. As far as Euclidian distance is greater than zero, the difference between the waterbirds of the two lakes is bigger. The resulting number is much larger than zero, and as a result, the distance between the waterbirds of the two lakes is high. These figures indicate the importance of BNL as a natural habitat for waterbirds. These differences are due to the prevalence of the habitat of different groups of waterbird species. The diving waterbirds choose a relatively deep water for living [18,31,32], Provided that the habitat has enough food, security and shelter . Differences in the biological conditions of the two lakes have led to a difference between the diversity, density and population structure of waterbirds. BNL has a mean depth of 8 meters and is Mesotroph , while the average depth of the lake of SYDR is 15 meters and is Oligotroph . Therefore, the diversity and density of waterbirds in BNL was higher. Most of the diving and surface feeding waterbirds in the SYDR were restored, indicating that the waterbirds use the SYDR as a resting place. The greater slope of SYDR shore caused the waders and wading birds has poor habitat for feeding, Particularly, the Ardeidae and fish-eating birds species that stand on the beach and wait for the approach of the bait are not suitable for hunting. Fish eating species are also easier to catch fish at BNL beaches, which are better than the SYDR. Anatidae species often use SYDR as a resting place, but BNL is the place to feed them. SYDR shores lacked the necessary vegetation for waterbirds as a source of food and refuges, but BNL has shallow coasts which are more suitable for fish eating birds, waders and wading as a source of food and refuge [2,31]. Figure 3 shows the relationship between depth and distribution of waterbirds in the two lakes. The difference in species diversity and the evenness of the species also showed the difference between the waterbirds of the two lakes. In BNL, the diversity and density of waterbirds were larger than SYDR. In SYDR, evenness and dominance of species were more than the BNL. (Evenness of SYDR was 0.2115 versus 0.1615 and dominance was 0.4904 versus 0.2859). Margalf, Menhinnik, Simpson, and Shannon-Veiner species diversity indices were higher in BNL. These differences arise from the availability of most biological needs of waterbirds in BNL compared to the artificial lake behind the dam. The maximum similarity between the waterbirds of the two lakes was observed among the surface feeding birds (72.35). Surface feeding birds use the lake behind the dam as a safe place and rest until it feeds. The results of this study are consistent with the findings of Zakaria and Rajpar (2013). They studied the diversity and density of waterbirds on natural Putrajaya Lake and the Paya artificial lake. It was concluded that the diversity and density of waterbirds of natural lake is more than the artificial lake. Guadagnin (2007) found in the same study that ducks prefer natural wetlands to artificial habitats . The results of his study are consistent with the findings of the diversity and density of waterbirds in SYDR and BNL. The findings of this study confirm the results of a similar study by Kloskowski et al. (2009), in their study of wintering water birds in Doñana; they concluded that the diversity and density of wintering waterbirds in natural lakes are more than artificial lakes . Declerk and De meester (2006) concluded in a similar study of the relationship between the diversity and density of waterbirds in natural lakes and artificial pools that there was a significant correlation between the diversity and abundance of waterbirds with the area and depth of the lakes, because different groups of waterbirds prefer a different habitat with different depth and area.These differences indicate that the lake behind the dam of Yaghoubi as an artificial lake cannot replace the BNL, but can be a safe habitat in the Khorasan Razavi province for waterbirds and a number of the species of fish eating birds. The results of this study are similar to those of Sebastián et al. (2013) . In this study, it was also found that the density and diversity of surface feeding waterbirds in SYDR are less than BNL. In 2013, research into the selection of marbled duck Marmaronetta anguustirostris and the Oxyura leucocephala concluded that the depth of water of habitat of White-Headed Duck is greater than the depth of the water of the marbled duck. The results of this study confirm the similar study by Shutler and Saini . Lakes behind the dam are the source of water for humans. They produce energy. Used in agriculture and industry, but they cannot replace natural wetlands as suitable habitats, because waterbirds prefer natural lakes to man-made lakes. The results of this study and similar findings in the world indicate that artificial lakes cannot be replaced as natural habitats of lakes but can serve as habitats for natural lakes at times need for water birds in Khorasan Razavi province. Behrouzi-Rad B (2007) Management of wetlands, Islamic Azad University, Science and Research Branch of Khuzestan, Pg no: 25-76. Behrouzi-Rad B (2008) Iranian wetlands, Geographical Organization of the Army of the Islamic Republic of Iran, Pg no: 450-491. Behrouzi-Rad B (2013a) Environmental Flow of Rivers, Ministry of Energy, Water and Power Resources Development Co., Pg no: 15-45. Clark G, Shutler D (1999) Avian habitat selection pattern from process in nest site use by ducks. Ecology 80: 272-278. Zakaria M R (2013) Density and diversity of waterbirds and Terrestrial birds In Man-made Marsh, Malaysia. Sains Malaysiana 42(10): 1483–1492. Kingsford R T (2000) Ecological impacts of dams, water diversions and river management on floodplain wetlands in Australia. Austral Ecology 25:109–127. Ramsar Convention Bureau (2001) Ramsar information Sheet. Available at www.Ramsar.ir. Evans M I (1994) Important Bird Area in the Middle East. Published by Birdlife International Pg no: 58-65. Kushlan J A (1993) Waterbirds as bioindicators of wetland change: are they a valuable tool? Pg no: 48-55. Bunn S E, Arthington A H (2002) Basic principles and ecological consequences of altered flow regimes for aquatic Biodiversity. Environmental Management 30: 492–507. Behrouzi-Rad B (2013b) Waterbirds population, species diversity and similarity fluctuation in relation to water pollution in Zangi and Ahmadi coastal wetlands in Khore Mosa. 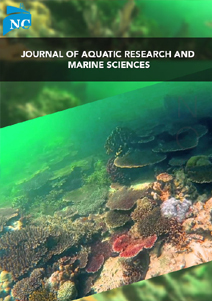 International Journal of Marine Science 3: 311-318. Foster P F, Amos P D (2000) Guidelines for resource consents for dams. In: Dams Management and best practice. Kadivar M S (2007) Dams and development. Higher Education and Research Institute of Management and Planning 700 Pages. Sebastián G S, Fuentes E C, Ferrández M, Echevarrías J L, Green A J et al. (2013) Habitat selection of marbled duck and White-headed Duck during the breeding and wintering seasons in south-eastern Spain, Bird Conservation International 23: 344–359. Icold (2012) 84th Icold Annual Meeting Johannesburg, South Africa 15 to 20 May 2016. Iran Water and Power Resources Development Company (IWPCO) (2011) Dam industry, hydroelectric power plants and related industries. Iran Water and Power Resources Development Company, Pg no 145-151. Scott D A (2008) Rare birds in Iran in the late 1960s and 1970s. Podoces 3: 1-30. Khorasan Razavi Regional Water Authority (1993) The design of the six-stroke dams of Khorasan-e-Razavi, the dam and gravel of Shahid Yagoubi, internal report, Unpublished, 160 pages. Khorasan Razavi Regional Water Authority (2005) the annual rate of utilization of dams in Khorasan Razavi, internal report. Unpublished, 145 Pages. Gholami A, Ghasemzadeh F (2006) Biodiversity of plant species around the protected area of Lake Bazangan, Iranian Journal of Biology Vol. 19 No 4: 45-53. Law Office of Department of Environment of Iran (2004) Collection of Environmental Laws and Regulations of Iran, Department of Environment 2: 67-92. Mohammadi Golrang B (2005) Research project for evaluating the results of Watershed Management Operations performed at Shahid Yaghubi dam basin, Research, Journal of Geographical 21: 34-43. Bushlan B, Fry G, Habib A, Mundaker T, Prawiradilage M D, Sonob K, and Usui T (1993) a field guide to the waterbirds of Asia. Wild Bird Soceity of JAPAN, 224 Pages. Krebs J C (2001) Ecological Methodology, Published by Harper & Row publishers, London. Pg 93- 370. Shutler K K, Saini M (2014) Community structure and population dynamics of aquatic avifauna of Gharana Wetland (Reserve), Jammu, India, Int Res J Biological Sci 3 : 1-8. M Scheffer, G J Van Geest, K Zimmer, E Jeppesen, M Søndergaard et al. (2006) Small habitat size and isolation can promote species richness, second order effects on biodiversity in shallow lakes and ponds. Oikos 112: 227–231. Guadagnin D L, Maltchik L (2007) Habitat and landscape factors associated with Neotropical waterbird occurrence and richness in wetland fragments. Biodivers Conserv 16: 1231–1244.